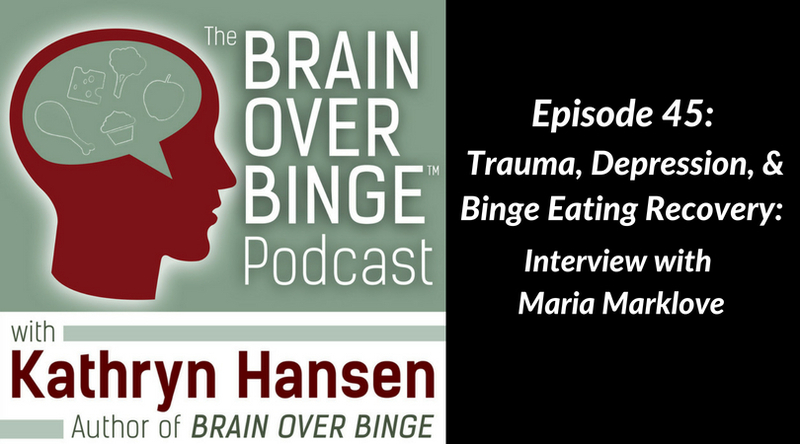 In Episode 45, Kathryn interviews binge eating and mental resilience coach Maria Marklove about dealing with trauma, depression, and emotional pain along with binge eating. Maria shares her own experience of overcoming these issues in her life, and helping others do the same. Visit Maria’s website HERE, and also get her 65-page, hand-illustrated Ultimate Guide To Stop Eating For Good.